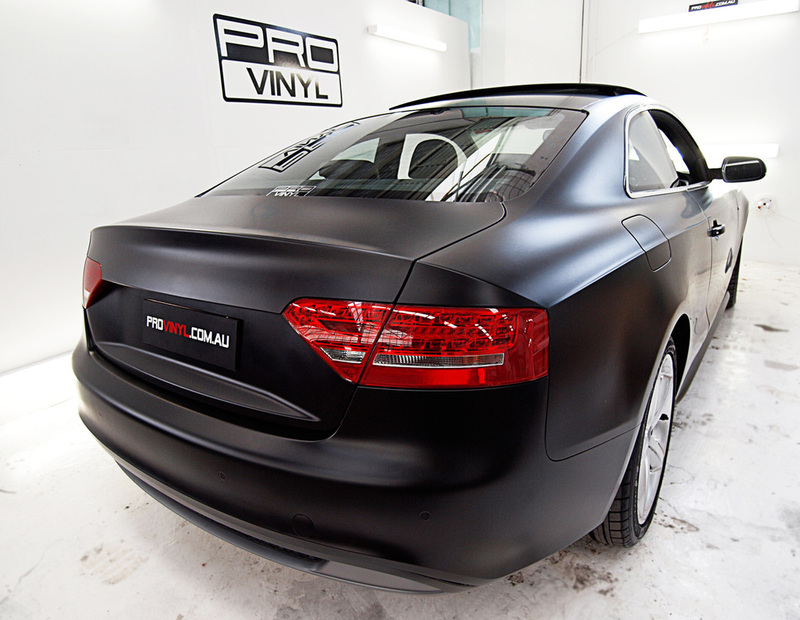 FULL CAR WRAPPED IN BLACK MATTE VINYL. 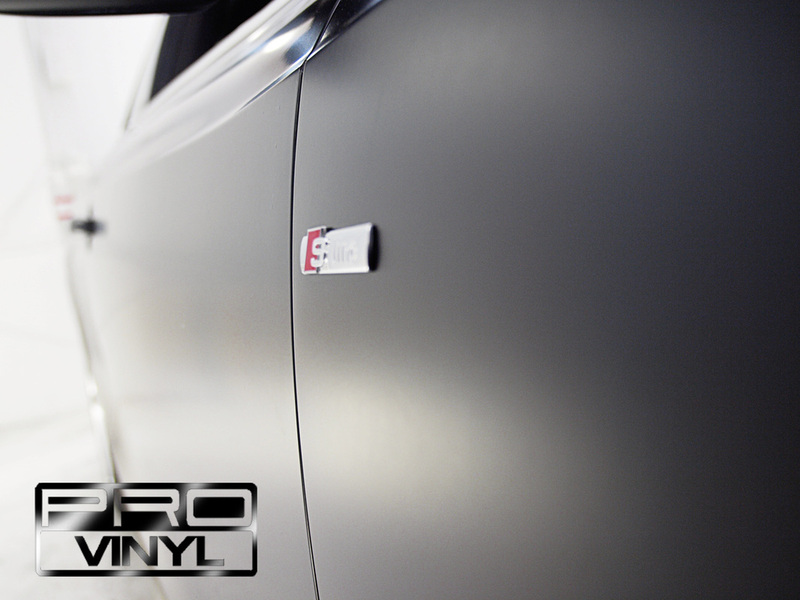 THE FRONT GRILL HAS BEEN RESPRAYED IN BLACK GLOSSY WITH THE BADGES AND OTHER CHROME COMPONENTS GETTING A BOLD AND STRIKING RESPRAY IN GLOSSY RED. THE QUALITY AND ATTENTION TO DETAIL BY THE TEAM ON THIS PROJECT WAS EXCEPTIONAL. 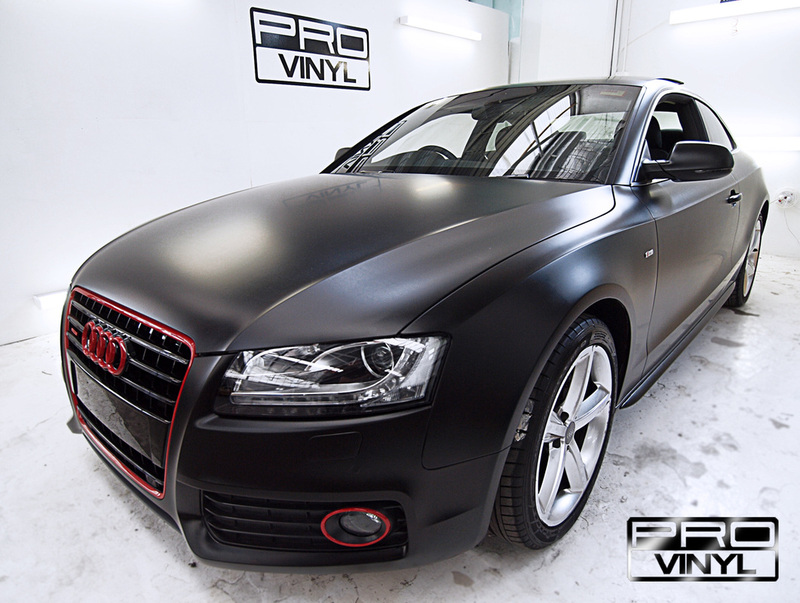 THE PROFESSIONAL TEAM AT PROVINYL SPEND HOURS OF TIME WORKING ON EACH PART OF THE VEHICLE TO PRODUCE THE HIGHEST QUALITY ACHIEVABLE IN ANY TIME FRAME. 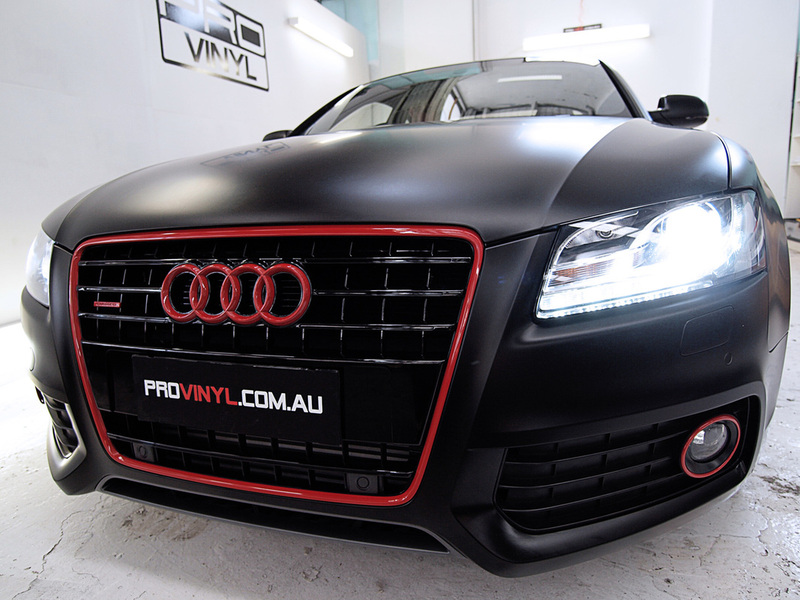 AT PROVINYL THE POSSIBILITIES ARE ENDLESS, WHO KNOWS WHAT WE COULD BE DOING NEXT... COME AND SEE OUR WORKSHOP, SPEAK TO OUR TEAM, AND WE CAN TURN YOUR DREAM CAR INTO A REALITY.